Yesterday Ford officially revealed details and photos for the 2013 Mustang lineup, but they saved the live debut of the cars for today. Earlier this evening the 2013 Mustang GT and V6, Boss 302 and Shelby GT500 were unveiled at the Belasco Theater in Los Angeles, CA. Ford marketing chief Jim Farley introduced each of the cars, with Carroll Shelby lending a hand to take the wraps off the new GT500. 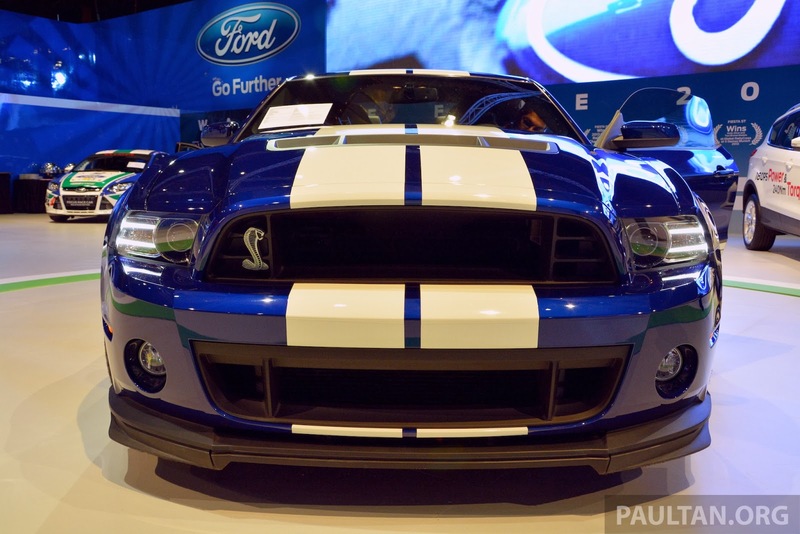 Typically Carroll has always said that his favorite car is “the next one”, but he admitted tonight that “this is my favorite car”, referring to the 2013 GT500 in front of him. You can see our live photos from the 2013 Mustang unveiling in the gallery below, and check back over the next few days for more photos, videos and news for the 2013 Mustang lineup. This entry was written by by MustangsDaily (Mustangs Daily) and posted here on Wednesday, November 16th, 2011 at 12:17 am and is filed under 2013 ford mustang, 2013 ford mustang boss 302, 2013 mustang, 2013 mustang boss 302, 2013 shelby gt500, News. This article was not written by us, rather gathered using RSS feeds listed here. We take no credit for this article. You can leave a response, or trackback from your own site.